“He shall lay his hand on the head of the burnt offering, and it shall be accepted for him to make atonement for him. Then he shall kill the bull before the Lord” (vv. 4–5). Having seen how the priesthood is developed throughout Scripture, we can now look at the worship the priests led under the old covenant. 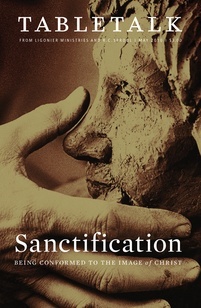 Sacrifice was central to their worship, and the most important sacrifice was the burnt offering. Leviticus 1 describes the burnt offering, which turned God’s wrath away from the people. Three kinds of animals were offered as burnt offerings — bulls (vv. 1–5), sheep and goats (v. 10), or turtledoves and pigeons (v. 14). Only the rich could afford bulls, the “middle class” offered sheep or goats, as that was the most they could give, and the poor sacrificed turtledoves and pigeons. In all cases, the offering was a real sacrifice. Meat was a rare luxury back then, so it was costly to burn an entire animal on the altar without giving any part of it to anyone but the Lord. This is exactly what happened with the burnt offering (vv. 9b, 13b, 17b). Worshipers brought their animals to the priest and laid their hands on them before they were killed and sacrificed (v. 4). A psalm may have been sung at this time, along with a confession of sin, but Matthew Henry explains the most significant thing that happened at this point. The laying on of hands signified “(1.) the transfer of all [the worshiper’s] right to, and interest in, the beast, to God, actually, and by a manual delivery, resigning it to his service. (2.) An acknowledgement that he deserved to die, and would have been willing to die if God had required it, for the serving of his honor, and the obtaining of his favor. (3.) A dependence upon the sacrifice, as an instituted type of the great sacrifice on which the iniquity of us all was to be laid.” In essence, we have the concept of imputation; in laying their hands on the animals, worshipers declared that their sins would be on the animals, which died in their place. Burnt offerings were the propitiatory sacrifices in ancient Israel. For God to maintain His justice, He must punish sin. To forgive at the expense of His just wrath would be inconsistent with His character; according to His holiness, those who have sinned must die (Gen. 2:15–17; Rom. 6:23). Once the Lord satisfies His wrath, it passes away, allowing fellowship between the Creator and His people. The burnt offering temporarily accomplished propitiation (satisfied God’s wrath) under the old covenant (2 Chron. 29:7–8), allowing God to stay His hand of wrath against Israel. Knowing that God is so holy that He must execute His wrath encourages us to see that no wrong will escape His judgment. Knowing that God is so merciful that He allows a substitute to bear His wrath in our place encourages us to be thankful for the great salvation prefigured in the burnt offerings and accomplished in Christ Jesus. Let us show gratitude in word and deed each day for our redemption.